Actual BW 81 lbs. Weigh Date: 4-10-19, 1401 lbs. Nice stocky bull calf here out of Baldridge Bronc. One of the higher gainers this past summer. Weighed 932 lbs on 11-23-2018 @ a little less than 9 months old! Weaned off 812 lbs @ 224 days. 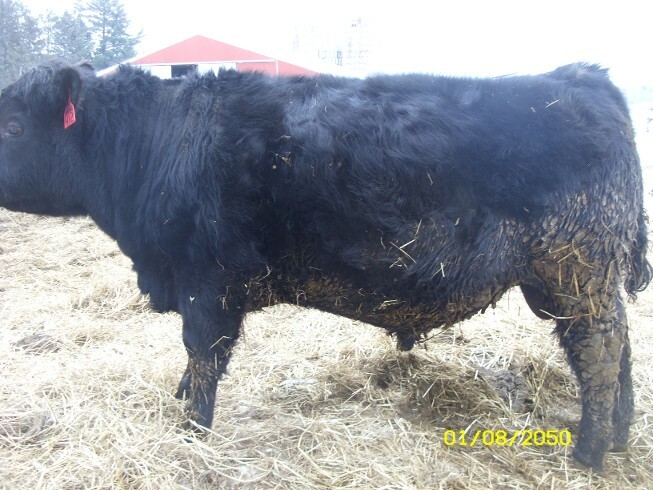 When R-412's dam was weaned she had a WWR of 112 and 205 day of 703 lbs and was out of a 1st calf heifer. All the ingredients here for a 1st class sire, and calving ease to boot.